Watching content on demand is great, but many of us would also like to be able to watch live TV on our computers. Thankfully, this is possible with the help of a TV tuner and there are many great options that work with Mac. In this list, we will tell you which are the best TV tuners that you can get and that will allow you to pause, forward, rewind and record your favorite TV shows. You can find options that offers a variety of designs and that suit different needs. This tuner lets you watch digital terrestrial TV (DVB-T), as well as analogue and cable TV (DVB-C) and it offers great performance with Mac. The first thing that you will note is its compact, stylish and convenient design that makes it a portable solution. This hybrid TV tuner comes with the amazing EyeTV 3 software, which supports great recording capabilities and it includes one year of free program guide data with TV Guide. 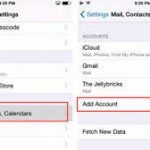 It is possible to record TV, FM radio shows and save them to your iOS device. You can also watch, pause and rewind live TV on your Mac, or listen to FM radio. This tuner lets you watch the shows you love on your Mac or any computer. It gives you the chance to watch live HDTV on up to 3 devices at the same time on your WiFi router or wired network. Since it supports HDHomeRun, it is possible to watch, pause and record content. If you have a premium cable subscription, you can access the channels using CableCARD. The SiliconDust HDHomeRun PRIME Cable HDTV offers HD quality and it also lets you schedule recordings. Small in size, but powerful in performance, this is one of the best options for people who want to enjoy live TV on their Mac or PC. 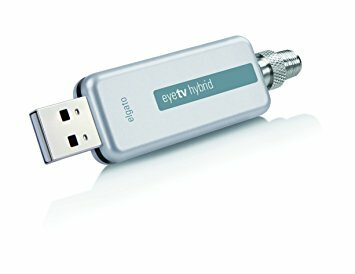 The EyeTV Hybrid is a tuner stick that has a sleek and compact design. It can handle unencrypted digital reception and HDTV reception, as well as analog reception. You can get clear and amazing image thanks to Mac’s high resolution. With the Elgato EyeTV Hybrid TV Tuner you can also connect multiple gaming consoles. It comes with a DVR (Digital Video Recorder) that allows you to record your favorite shows. Sleek, practical and powerful, this tuner is designed to allow you to watch digital terrestrial TV without hassle. With the PCTV nanoStick Ultimate Plus, you can record TV on your hard disk, pause or rewind live TV. It is also possible to stream your own content on your PC or Mac. It comes with Fuugo TV for Mac and provides fantastic DVB_T reception. It is also one of the most affordable solutions available. With Slingbox, it is possible to connect and control multiple devices (up to three) including DVR – Digital Video Recorder, DVD Player and satellite receiver. It comes with built-in tuner ATSC/NTSC/QAM and it is capable of streaming HD video around your home or over the internet. You can record shows whenever needed and enjoy remarkable image quality. Although it is associated to SlingTV, a subscription service, there are no monthly fees involved when you get the Slingbox PRO-HD. This mini digital HD TV stick comes with a remote control and high-gain telescopic antenna. Thanks to its compact size, you can bring it with you when you are on the go as it fits in your pocket. The Pctv HD Mini Stick allows you to turn your Mac into a personal digital video recorder. Your favorite shows can be recorded to your hard drive or direct-to-DVD. It supports ATSC and ClearQAM, and its single booster can imrpove reception sensitivity. With the Hauppauge HVR 950 Hybrid TV Stick, you can watch and record TV using WinTV-HVR-950 Q. It also supports ATSC and NTSC TV QAM with remote control. This hybrid tuner lets you use the scheduler to record any show and then you can play the recordings on your Mac. It comes covered with a one-year warranty.